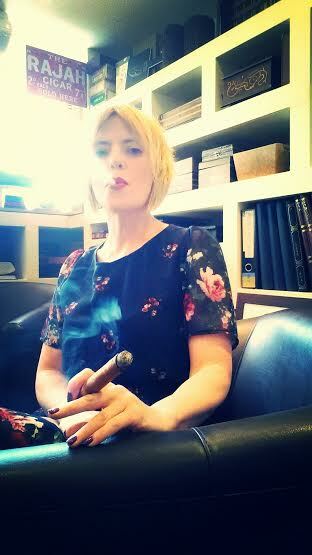 MB Cigar Lady is Sara, she is the Manager of the La Casa del Habano and Turmeaus Tobacconist in Chester. 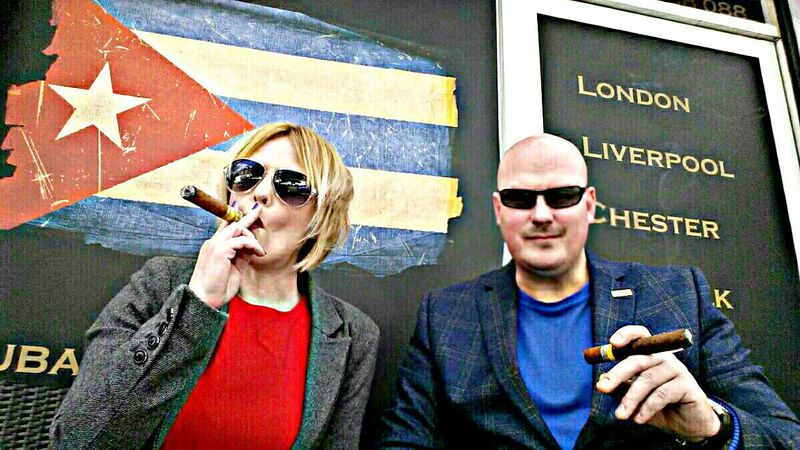 ( part of C.Gars Ltd – the largest specialist cigar merchant in the UK) She is a cigar lover and has recently discovered pipe smoking too. 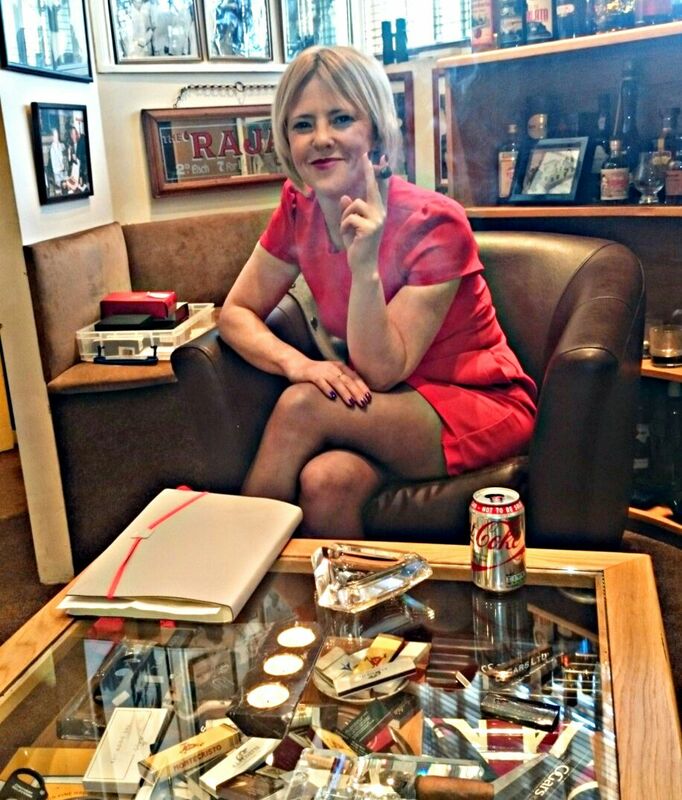 She loves to try new cigars and has a passion for all things cigar related, she smokes Cuban and new world cigars with a preference for Cuban cigars. She loves to pair drinks and cigars to see what works and what doesn’t and is enjoying experimenting with this. So far champagne really works well !!! In her future she hopes to be the first female in the UK to pass her Master of Cigars exam but till then she will enjoying learning through smoking them !! The reason I started to smoke cigars was that my partner has smoked cigars for approx 14 years and when we were out the aroma as well as whole ceremony of choosing your cigar, cutting and lighting just seemed so inticing that I knew I would have to try it. The quantity of cigars I smoke varies from day to day due to work and social situations etc. I do try to smoke at least 1 a day but have been known on ocassion to smoke 6 in a day !!!! The best place I have smoked a cigar is during a walking tour at CGars head office in London where I was shown the beautiful walk in humidor by Mitchell Orchant which contained rare and pre embargo cigars as well as regular stocks. To be surrounded by such history and magnificent cigars truly was a sight to behold ! I have recently upgraded from my Xikar XI3 cutter to a Dunhill cutter which cuts to perfection. When I smoke a cigar I feel relaxed, I feel happy and I feel very thoughtful ….. I love to sit and watch the world go by letting any troubles I have leave me with the smoke. I do not smoke cigars at a specific time of the day, when the moment takes me I sit down relax and enjoy …. it’s all about the enjoyment ! Choosing the cigar for me is a difficult question as I have different favourites for different times of day and for different period of time I have to smoke them …… presently for a short day time smoke I enjoy Montecristo no 5 or a Partagas short, they are what I would describe as breakfast cigars ! A good afternoon cigar for me is a Ramon Allones Specially Selected, Montecristo Edmundo or a Cohiba Maduro 5 Genios and for the evening I enjoy a Cohiba Behike 54, Cohiba Robusto Supremos or if I have more time a Bolivar Libertador or a Partagas Salomones. Thank you very much Sara for your time, I wish to meet you at the Hotel Nacional patio to smoke a good cigar.